Who is an Interested Witness? IS Raju alias Balachandran and others vs. State of Tamil Nadu (AIR 2013 SC 983) Correctly decided ? interested witness” and there were serious discrepancies in her evidence: The Supreme Court held that both the grounds were invalid. Two questions logically arise from the observations in paragraphs 32 and 33 of Raju alias Balachandran. One is of the propriety of the two judge Bench in dissenting from the decision of a three judge Bench, without at the same time, referring the case or the question to a larger Bench. Are smaller Benches at liberty to dissent freely from decisions of three judge, four judge or even Constitution Benches? The question, with respect, answers itself in the negative. The action indicates a degree of lack of judicial cohesion and harmony so necessary in the Apex Court. No wonder, one of the senior most and highly respected members of the Supreme Court bar recently made a suggestion to the effect that Article 141 of the Constitution be amended to exclude from its’ purview law being purportedly laid down by two judge Benches. In paragraph (34) of Raju alias Balachandran the Bench indicated that the only eyewitness examined, namely, PW5 Srinivasan was related to the victim and was an interested witness and “also some one who has an enemity with the appellants”, and his evidence, therefore, needed to be scrutinized with great care and caution. In paragraph 41, the Bench accepted his presence at the scene of occurrence and held that he was an eyewitness to the occurrence and his testimony was acceptable. If in the above case, PW5 was shown to be previously inimical to the deceased, the Bench was justified in scrutinizing his evidence with care and caution. In this view, it was wholly unnecessary for the Bench to have considered the question whether PW5 would fall within the class of “interested witness” merely because of his relationship with the two victims, and if so, whether such an “interested” witness’s evidence was, in law, required to be scrutinized with greater care and caution than the evidence of a third party disinterested and unrelated witness. It is not as if this area is not covered by earlier decisions of the Supreme Court; on the other hand, such decisions are a legion! Raju alias Balachandran to the effect that a witness who is related to the victim is “therefore an interested witness” whose evidence is required to be scrutinized with greater care and caution. Raju alias Balachandran has not even suggested that under any circumstances, the rule of corroboration is applicable in the case of close relations or friends of the victim or persons bearing enmity towards accused; the decision states that in such cases their evidence is required to be scrutinized with “greater care and caution”, a proposition not warranted by any substantial precedent. Raju alias Balachandran did not take not of Rameshwar Singh, though a Constitution Bench in The State of Bihar vs. Basawan Singh quoted with approval the rule of corroboration as explained in Rameshwar Singh. (e) Where evidence is given by near relatives of the victim and alleged murderer is alleged to be an enemy of the family, Court must examine their evidence (relatives) very carefully. But a person may be interested in the victim, being his relation or otherwise and may not necessarily be hostile to the accused. (Darya Singh). (f) Merely because the witnesses are related to the complainant or the deceased, their evidence cannot be thrown out. If their evidence is consistent and true, the fact of being a relative is not a factor to affect the credibility of a witness and the courts have to scrutinize their evidence meticulously with a little care (Waman vs. State of Maharashtra, 2 Judges). I may now refer to a few more decisions of Benches consisting of three or more judges. Masalti and Others vs. State of Uttar Pradesh, dealt with a case of a large number of accused convicted under section 302 r/w section 149 IPC. In a faction - ridden village, Gayadin and four other members of his family were murdered allegedly by the members of the rival faction which included the appellants. This rival faction was led by Laxmi Prasad, one of the appellants. There were criminal cases between the parties for several years. There was also panchayat election rivalry between the two factions. The resulting incident was gruesome and long drawn out. Of the evidence of twelve eyewitnesses examined, the High Court accepted the evidence of ten witnesses as substantially true and correct. The High Court thought that most of the eyewitnesses belonged to Gayadin’s faction and hence partisan but confirmed the conviction of those accused against whom four or more witnesses gave a consistent account. The above decision was rendered with reference to a case of two bitterly inimical factions, members of one faction attacking members of the other faction. Enmity of witness to the accused is inherent in the situation. According to the clearly inimical witnesses the killing was by members of the inimical faction. Even in such a scenario, the Bench held discarding of the evidence would be unreasonable. In such a situation, according to the Bench, the merits, quality and consistency of the testimony of the eyewitnesses is to be scrutinized; but then such scrutiny is required to be made in any criminal case involving some stakes. This decision, of course, did not deal with evidence of a close relation or friend of the victim, who was not shown to the inimical to the accused; this has been considered by a few three judge Bench decisions. b) Badri others vs. State of U P (Y.V. Chandrachud, P.N. Bhagwathi and R.S. Sarkaria JJ). In this case, the Bench, relying on Raghubir Singh vs. State of U P drew attention to the general reluctance of an average villager to appear as a witness and get himself involved in cases of rival factions when spirits on both sides are running high. 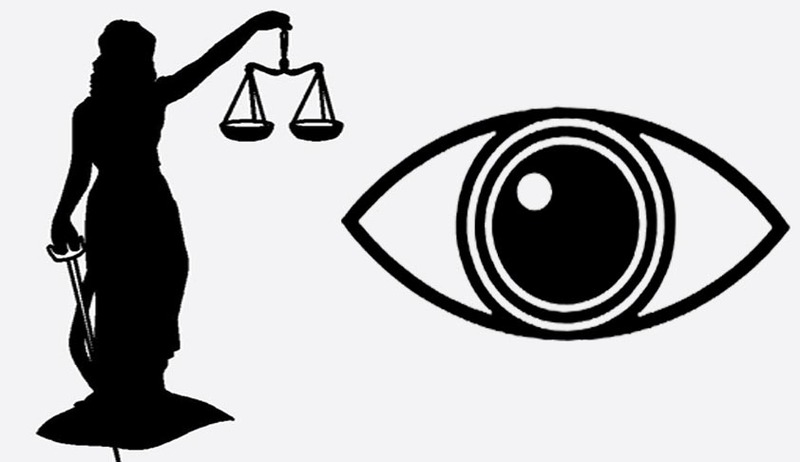 That an eyewitness is the brother of the deceased (the relationship) would add value to his evidence because he would be interested in getting the real culprit, rather than an innocent person, punished. Some of the (eye) witnesses are close relatives of the deceased persons and it is most difficult to believe that they would spare the real assailants and falsely mention the names of innocent persons as having caused the injuries to the deceased persons. Four of the eye witnesses, namely, Ajit Singh (PW 19), Harbans Singh (PW 21), Jarnail Singh (PW 22) and Mohinder Singh (PW 27) received injuries during the course of the present occurrence and there can be hardly any manner of doubt regarding their presence at the scene of occurrence. It is not possible to accept the contention that these witnesses in spite of the attack upon them and the three deceased persons failed to fix the identity of the assailants. “Moreover a close relative who is a very natural witness cannot be regarded as an interested witness. The term "interested" postulates that the person concerned must have some direct interest in seeing that the accused person is somehow or the other convicted either because he had some animus with the accused or for some other reason”. (g) Anil Rai vs. State of Bihar and others (K.T. Thomas and R.P. Sethi JJ). The Bench relied on Dalip Singh, relied on in Gulichand and others vs. State of Rajasthan and Vadivelu Thevar vs. State of Madras. The Bench also referred to Masalti and others vs. State of U P , State of Punjab vs. Jagir Singh and Lehna vs. State of Haryana. (p) Vijayashankar Shindu and others vs. State of Maharashtra. e) Bhupendra Singh vs. State of U P (A. Pasayat and A.K. Ganguly JJ) (Refers to several earlier decisions). (h) While appreciating the evidence of witness considering him as an interested witness, the court must bear in mind that the term “interested postulates” that the witness must have some direct interest in having the accused somehow or the other convicted for some other reason. 12. There are a large number of decisions of two-judge Benches to similar effect; however, I consider it unnecessary to multiply citations. 13. “The word “Interested”in the general or popular sense means only, “having an interest or concern”. (See Chambers, 20th Century Dictionary, new edition 1996). But in the matter of appreciation of evidence in criminal cases, courts, generally speaking, have not gone by the popular meaning; courts have adopted a special meaningnamely, that a person can be regarded as an interested witness only if he, activated by ill feeling towards the accused or for extraneous reasons, wishes to ensure that accused is convicted and sent to prison. “Extraneous reason” can only mean some reason other than the incident in which his close relation or friend sustained serious injuries. Ordinarily, such “extraneous reason” can only be ill feeling or strong antipathy towards the accused. This is what the Supreme Court has consistently opined for over sixty years. Therefore the formulation in Raju alias Balachandaran of a “related and therefore an interested witness (such as wife of the victim) having an interest in seeing that the accused is punished” is far from correct. That a wife or other close relation or friend will always have an interest in seeing that the accused is punished is an assumption contrary to common sense and the stated position of the Supreme Court. Such a close relation or friend, if he is a genuine eye witness, will be the last person to falsely accuse an innocent person, the inevitable consequence of which will be to allow the real assailant to escape the clutches of law. Such an attitude on the part of a close relation or friend would be most unnatural or strange, unless the accused can show that the witness has reason to do so for some specific reason or the other. i. was he at or near the scene of occurrence so as to enable him to witness the occurrence and see and identify the victim or victims and the assailant or assailants? ii. was the assailant personally known to the witness? If not, what are the indications or circumstances showing his capacity to identify the assailant? iii. Is his evidence of good quality and consistent? Did the court notice anything particular in his demeanour? Did his previous statement(s) seriously contradict his evidence in court and if so, what is the explanation? How well or ill he fared in cross-examination. How does his version of the occurrence compare with the version of other eye-witnesses, if any? The circumstances of the case, including the medical evidence support the version given by the witness. iv. If the witness sustained an injury in the occurrence at the hands of the same accused, was he likely to point his finger falsely at an innocent person? v. Was the witness a natural witness? If he was a chance witness, is his explanation for his presence at the scene at the time in question reasonable? vi. Is the version given by the witness such that it is likely to have happened in the light of the circumstances mentioned in section 114 and whether the version is probable in the circumstances? vii. Did the eyewitness have any motive to implicate the accused falsely? Was he interested against the accused for any reason other than the particular assault referred to in the charge? viii. If the eye witness is a close relation or friend of the victim, did he have any extraneous reason or motive to falsely implicate the accused in this incident? ix. To what extent, if any, the version given by the eye witness is supported or contradicted by other evidence and circumstances arising in the case relating to motive for the crime, preparation, conduct of the accused, admissions of and admissible (relevant) confession of the accused. x. A close relation or friend of the victim who, though he was not present at the scene and hence did not watch the occurrence, might be persuaded to believe that it was the accused who caused injuries to the victim and to give evidence claiming to be an eyewitness; however if he had really seen the occurrence and identified the assailant, who was really not the accused, is it likely or probable that he would or could be persuaded to tell the police or give evidence that he saw the accused cause injuries to the victim since by such conduct he would be allowing the really guilty to escape; this would be so provided he did not have powerful extraneous reason such as strong enmity with the accused, to implicate him falsely, provided also that there is strong foundation laid for the theory of false implication. 15. It is indeed surprising that the two judge bench which decided the case of Raju alias Balachandran after quoting a proposition laid down by a four judge bench in the case of Darya Singh, two three-judges Benches in the cases of Dalip Singh and Kalki and a two judges Bench in the case of Waman, which as the Bench noticed, relied on eight earlier decisions reported during the period from 1976 to 2011, purported to take a totally different view to the effect that “a related witness” is an “interested witness” having an interest in ensuring that the accused is punished. (See Paragraphs 30, 32 to 33, 35, 36 and 37 of Raju alias Balachandran). All the decisions referred to in Raju alias Balachandran said exactly the contrary, that is, relationship is not a factor to affect credibility of a witness (through his evidence has to be scrutinized carefully). In a criminal case, particularly a case which may lead to a sentence affecting the life or liberty of an accused, the court is always required to scrutinize the evidence with care and caution. When the courts suspicion is roused, the court may bestow more care and caution in scrutinizing the evidence. This is far from saying as Raju alias Balachandran did that a related witness who is not shown to be hostile to the accused for other reasons (i.e. reasons other than the assault on the victim in the case) is having an interest in seeing that an innocent accused is punished. 16. At any rate, the observation of the two judges bench in Raju alias Balachandran in para (32) is that the view expressed by an earlier three judge bench in Kalki’s case is too narrow and generalized and needs a rethink. Para 32 is followed by paras 35 to 37, all of which refer to other decisions laying down the principle in language more or less similar to the language employed in Kalki’s case. Nevertheless, the Bench did not desire to have the case heard by a larger Bench. 17. If “narrowness” and “generalization” are found to be objectionable, some of the ideas propounded in Raju alias Balachandran suffer from the same defect. That a witness related to the victim is necessarily an interested witness, (The Bench calls him “ a related and therefore an interested witness), is too narrow and generalized an assumption. A criminal court generally proceeds on presumptions which may be drawn by virtue of Section 114 of Indian Evidence Act. This provision requires court to have regard to “common course of natural events”, “human conduct” etc. in their relation to the facts of the particular case. 18. “Interested” necessarily connotes “Interested” at any point of time prior to the occurrence of which the witness happens to be an eyewitness. Theoretically, everyone who witnesses the commission of violent crime may feel revolted by the crime and ideally, may feel it is his duty to report the matter to the police and thereafter give evidence in court. However, in the practical world, one finds considerable reluctance on the part of our people to get involved in any matter in the process of criminal justice. In this context, a close relation or friend of the victim may not share such reluctance and may come forward to get involved in the process, irrespective of any prior ill feeling or enmity towards the accused. In the general sense, he can be said to be “interested” in the victim. Such a witness may feel revolted by the occurrence he witnessed and may, on that account, develop dislike towards the accused. But for that reason, he cannot be regarded as hostile or inimical to the accused. This is so whether or not he had previous acquaintance with the accused. However, an eye-witness who knew the accused prior to the occurrence and had hostility towards them may have a vengeful attitude towards them and may be prepared to give information or evidence against them. A witness having ill will towards the innocent accused previously may be capable of involving the latter falsely in the occurrence, whether or not the witness had seen the occurrence. But a close relation or friend of the victim who has no such pre-existing enmity towards the accused has no motivation to give information or evidence implicating the accused person as the assailant in the case, if the he had witnessed the occurrence, since that would allow the actual assailant to escape the clutches of justice. Of Course, in practice, nothing is ruled out. But in scrutinizing and appreciating evidence, court is concerned only with “broad probability” and not “extreme possibilities” having in view the provisions of Section 114 and the definition of “proved” in Section 3 of the Evidence Act. When accused takes the stand of “false implication”, that stand must be supported by some materials on record; that the eyewitness is a close relative or friend of the victim, cannot be a substitute for such materials. The word “interested” has two dimensions – failure to perceive these different dimensions can lead one astray. 19. In paragraph 34 of Raju alias Balachandran, the Bench found that PW5, the sole eyewitness in the case was “someone who has an enmity with the accused and his evidence needs to be scrutinized with great care and caution”. This proposition cannot be taken exception to. What is taken exception to is the proposition that evidence of a “related person” without previous enmity towards the accused should be treated at par with a witness shown to have previous enmity with the accused. Justice U.L.Bhat is the former Chief Justice of Gauhati High Court and High Court of Madhya Pradesh.